It’s a great day to be a Titan! Are you All In? Today is All In for Wesleyan at IWU. Dr. Randy Reed ’73 has offered to give $500 for each class year with 30 donors today, and an additional $500 for each class with 60 donors. Seriously – every dollar counts! Help your class meet this Challenge. 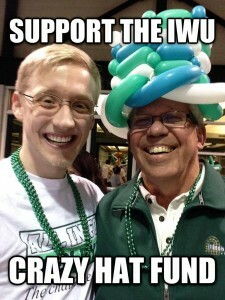 Click this link to donate https://www.iwu.edu/all-in You can also see how your class is doing in the challenge. You can see All In on campus by clicking here. Frankie R. Faison ’71 (left) poses with IWU’s Washington, D.C. 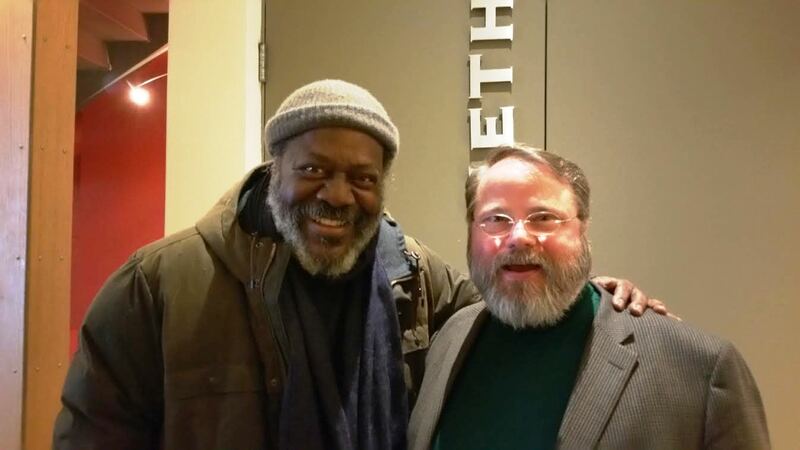 Alumni Chapter President, Scott Huch ’86, following the matinee performance of Between Riverside and Crazy at Studio Theatre in Washington, D.C., on February 13, 2016. In Studio’s production of this 2015 Pulitzer Prize-winning play by Stephen Adly Guirgis, Faison stars in the lead role of Walter “Pops” Washington. Faison is a Tony and Drama Desk Award-nominated Broadway actor also known for his work on film and TV, notably as Commissioner Ervin Burrell on the acclaimed HBO series The Wire. Faison can currently be seen in the hit Cinemax series Banshee as Sugar Bates. Join other IWU supporters by renewing your gift at www.iwu.edu/give. It’s not too late to be added to the list! We still need 163 alumni to step forward before July 31 to increase alumni participation 1% over last year. Hi, I'm Claudia, the Class of '72 Newsletter editor. Send me an email at jcreinhardt@neb.rr.com if you have an update! 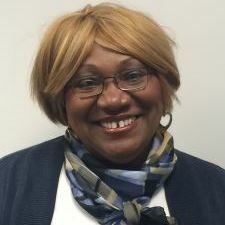 Hi, I'm Debbie, the Class of '75 Newsletter editor. Send me an email at debbiefrazier53@gmail.com if you have an update! If you would like to be a Class Newsletter Editor for any of the remaining class years, email classnews@iwu.edu!